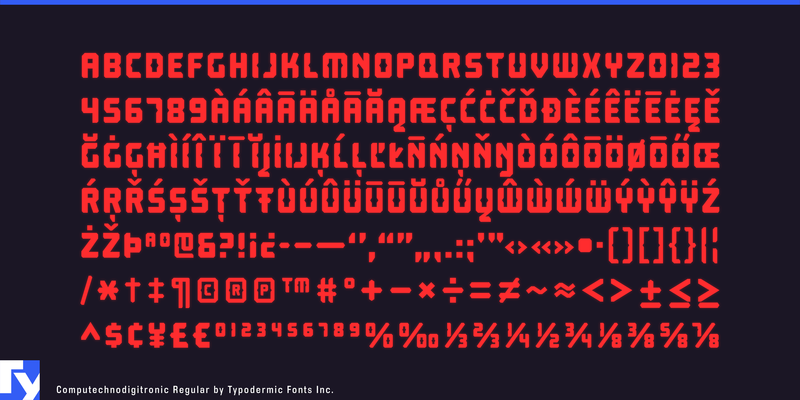 Computechnodigitronic is a rock solid segmented LED/LCD font. It is proportionally spaced with a focus on easy reading. OpenType lining numerals are included for timer countdowns, fuel prices etc.